STAR TREK: Abandoned Projects - PHASE II | Warped Factor - Words in the Key of Geek. 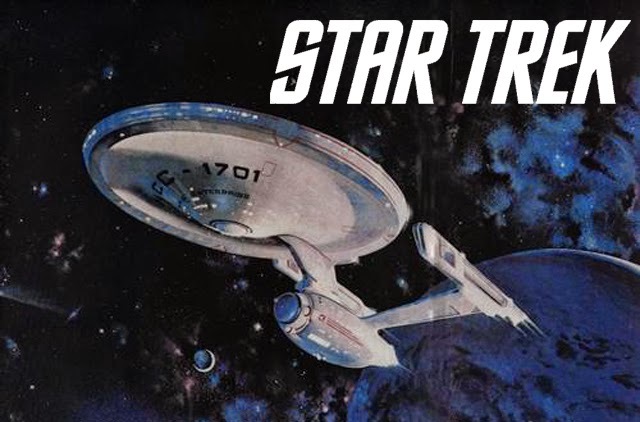 Nathan Browne looks back at another abandoned Star Trek project, the proposed late 70s TV series, Star Trek: Phase II. 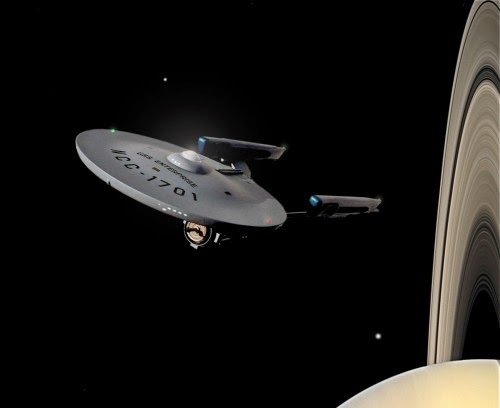 After production was cancelled on what would've been the first Star Trek movie, Star Trek: Planet of the Titans, Paramount Studios Chief Executive Officer Barry Diller suggested that a new television series be developed instead, and that it would act as the flagship show on Paramount's proposed new TV station, due to launch in early 1978. And so begins the story of Star Trek: Phase II, a second five year mission for almost all the original crew of the USS Enterprise. In July 1977 work began on set construction and designs, although all the costumes were to be recycled from the original series. The following month the first story ideas were tendered, and although he was featured in the early scripts Leonard Nimoy declined to return as Mr Spock. There had already been contract issues with signing him up for the scrapped movie but now he also had commitments to the Broadway production of Equus in which he was starring in as Dr. Martin Dysart. In the hope to lure the actor back Gene Roddenberry offered Nimoy a deal to appear in the pilot and then two out of every eleven episodes, Nimoy thought the idea was "crazy", so passed. 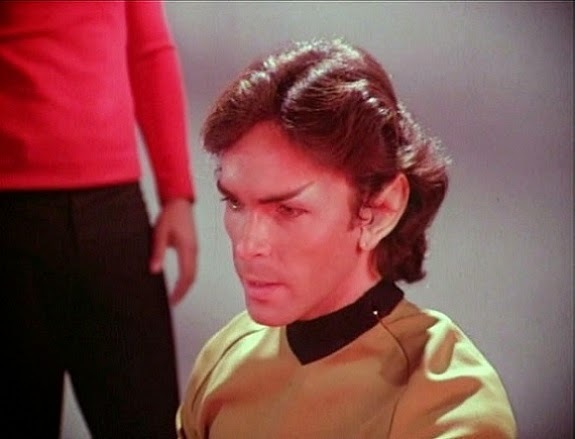 Had the series been produced, in his place would've been a new Vulcan officer called Xon, played by David Gautreaux. All of the other original cast still had existing 'pay or play' deals from Planet of the Titans but a few more additions were bought in to bolster the ranks, this included Commander Will Decker and Deltan navigator empath, Ilia - names you are likely familiar with from Star Trek: The Motion Picture. The character of Decker was bought in to work in much the same way Will Riker did in earlier episodes of Star Trek: The Next Generation, he would be a younger more action orientated officer, leading the away teams whilst the Captain stays on board. More interestingly though, Decker was also created as an insurance policy for Paramount - William Shatner's salary was so high that if they needed to kill off Captain Kirk sometime in the future to save on the production costs of the series then they would already have an established character waiting to take command. 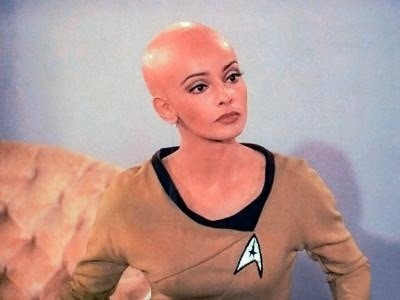 Although at this time no actor was finalised to play Decker, Persis Khambatta, who would play the role in Star Trek: The Motion Picture, was cast as Ilya. "Basically, what I did to it was change the power units, and make a slight change in the struts that supported them. I gave the main hull a taper, then I went flat-sided and thin with the power units, rather than keeping the cylindrical shape. Trying to work out the logic of the refit, I knew a lot of the equipment inside would change, but I didn't see that there would be any need to change the exterior of the saucer. Certainly, though, the engines would be a primary thing to change. Part of the theory of the ship's design in the first place was that we didn't know what these powerful things were or how devastating it would be if anything went awry, so that's why we kept them away from the crew. And that meant they could be easily changed if you had to replace one." An initial thirteen scripts were commissioned, including one that would see the crew travel back in time to just before the attack on Pearl Harbor. The 2 hour pilot for the series had its origins in a different Gene Roddenberry production, Genesis 2. This 1973 made for television movie was intended as a pilot but failed to make it to series. Roddenberry was already working on scripts if he got the greenlight, and one of them was called "Robot's Return". This was the story of a huge starship that crosses the universe looking for its creator on Earth. Alan Dean Foster adapted this story idea and scripted "In Thy Image" as the launch episode for Star Trek: Phase II. In September of 1977 during a regular update meeting with Paramount, producer Robert Goodwin pitched them the proposed pilot episode, they loved it. The series was given a very leisurely production timescale, months instead of weeks - there was a reason for this that even Roddenberry himself wasn't aware of at the time. It seems that after searching for the perfect movie idea for five years Paramount now felt "In The Image" was the ideal one, so just a few months after scrapping the idea they now re-envisioned a big screen adventure for the Star Trek crew. With cast and crew in the dark, work continued on Star Trek: Phase II, with Paramount theorising that any scripts could be used in a potential future series to take place after a movie, and any production costs could be written off as pre-production for the cinematic outing. Also unbeknown to the Phase II team was that Paramount Television Services, their proposed new network, was failing to attract advertisers and was not going to see the light of day. It wasn't until November 11th 1977, two and half weeks before principal photography was due to begin on the pilot episode that Paramount officially pulled the plug on Star Trek: Phase II. Although it never went before the camera Star Trek: Phase II was a very important time in Trek history, and left quite a legacy. The characters of Will Decker and Ilia were the blueprints for the characters of Will Riker and Deanna Troy in Star Trek: The Next Generation, and two of the scripts written for the series would be used by TNG. But most importantly Alan Dean Foster's script for "In Thy Image" was adapted by Harold Livingstone and eventually became Star Trek: The Motion Picture. We finally had new live action Star Trek after a 10 year absence.